New Zealand is often seen as a world leader in human rights – the rights and freedoms everyone should enjoy. These include rights to freedom of expression, liberty, conscience and religion – and to supports provided by the government, such as health, education and welfare. Human rights are the rights and freedoms every person should enjoy, such as protection from cruelty or discrimination, and access to health care and education. However, there is no universally agreed list of human rights. Human-rights documents in English history include the Magna Carta of 1215, which listed barons’ grievances against King John and the rights they thought they should have. The Bill of Rights of 1688 established Parliament (rather than the monarch) as the supreme authority for making laws. This is seen as a protection for human rights. Some countries have written constitutions or bills of rights, which include statements of human rights and freedoms, and limit the powers of the government. Laws that conflict with the constitution can be declared invalid. However, in New Zealand (as in Britain), Parliament is the supreme law-making body. In 1985 the Labour government proposed introducing a Bill of Rights, which would override laws inconsistent with human rights. However, due to public concern the 1985 bill did not proceed. The Bill of Rights Act 1990 is an ordinary law – not a supreme law. It includes a number of rights, among them the right not to be deprived of life and the right to freedom of thought, conscience and religion. The Human Rights Act 1993 protects people from discrimination on the grounds of gender, marital status, religion, ethnicity and nationality (all of which were in earlier legislation), as well as sexual orientation, family status and disability. The Human Rights Commission educates people about human rights and deals with complaints about discrimination. 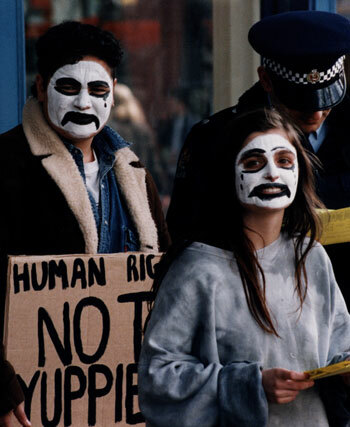 New Zealand is a party to seven of the nine United Nations core human-rights treaties – meaning that New Zealand agrees to recognise these rights in its laws, and report to the UN on them. Human rights in the treaties include civil and political rights, the elimination of racial discrimination and discrimination against women, the rights of children and people with disabilities, and eliminating torture.